Pinterest now offers two separate types of accounts, one for personal use and the other specifically for business accounts. Pinterest realized the importance of creating business accounts and created a separate set of terms and conditions in order to better provide businesses with the ability to pin from their websites. 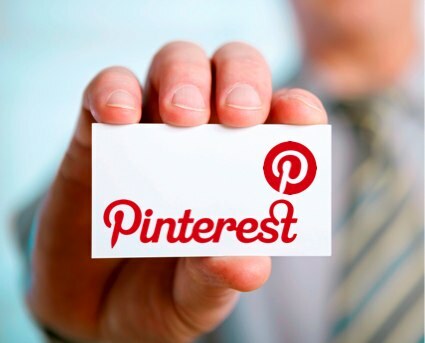 They are offering free tools and resources and will continue to include promotional options as businesses continue to join the Pinterest community. 3. Congratulations, you have converted your personal page to a business page. If you’d like to keep your personal account and create a new business page you can do so by visiting business.pinterest.com and clicking on the “New to Pinterest? Join as a business” button. Don’t worry, all of your pins and followers will be exactly as they were. The benefit of converting to a business page is that it will give you new widgets, educational material, and a foundation for future potentially paid promotions. It will also make it easier for you to create a presence for your business online, with the backing of Pinterest to help you do so. 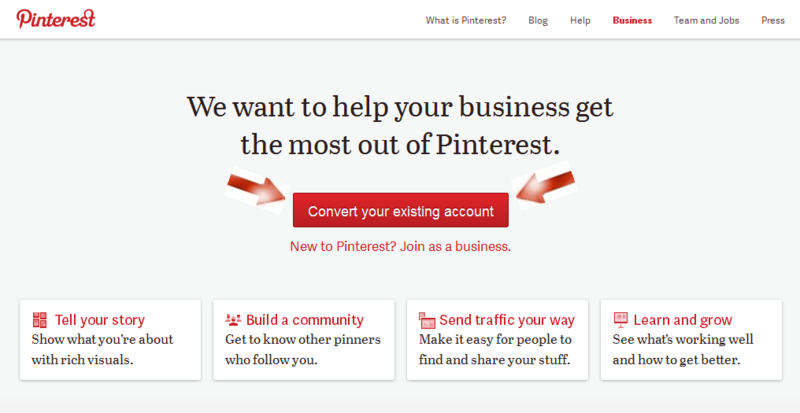 Once you have created or converted your business account, Pinterest will take you to install the Pin It Bookmarklet. You will also be prompted to drive traffic from your website to Pinterest and from your Pinterest account to your website by adding the Pin It & Follow Buttons. Verify your website- this is an important tool for you to verify that you own the website on your Pinterest profile. When your website is verified, there will be a red checkmark next to your domain in search results and on your profile. Learn how to verify your website here. Integrate Buttons & Widgets- Get more engagement from your audience by adding the Pin It button, Follow Button, Profile Widget, or Board widget. These add-ons will help make it easier for your audience to pin items from your website, find you on Pinterest, or start following your boards. Upcoming Features Updates- Pinterest is powerfully providing new and innovative products and services for you to reach your audience. As new updates come available, you will automatically be able to access them and gain insights about your Pinterest account. See how others are doing it: Pinterest created a business page to help your company get the most out of Pinterest marketing. Here you will find case studies of successful businesses, best practices and examples to follow, as well as guides for marketing materials. By continuing to expand their platform to include businesses, this hot social media site confirms that it is an important one to jump on if you want to keep up with the competition.